Kudos on this, it’s simple enough to set-it and forget it for less WordPress savvy folks but also robust enough to handle the intensive modifications that a self confessed wordpressaholic developer like myself can throw at it. Check out our official post on Best Theme for the latest updates. Take your E-Commerce website to the next level with this super cool free WordPress theme from WooThemes. If you’ve always wanted to try using an E-commerce theme to see if it will workout for your website then here’s your chance. MyStile is a fully functioning WordPress theme that has all of the WooCommerce features such as product categories, product descriptions, cart, checkout and user account sections that usually come with a Premium Theme package. This responsive theme is built on the WooFramework and can be customized to display vital information like contact details, featured product, latest blog posts on the homepage. It also comes with a couple of shortcodes that can be used to highlight a short text message or display a sales banner. This lean but mean free theme is the perfect theme to help you get started in your online business. There aren’t too many feminine themes that are specifically targeted for women bloggers. Majority of the themes that come out border on neutral to the more masculine design. A lot of women who are tech savvy and gadget geeks are still soft and fluffy on the inside and will love how Adelle gives them the platform to be both. This easy to manage theme is responsive and will look pretty even on a mobile phone. There are also a few customization options that can be done in the backend like custom menu navigation, custom background image, custom text in the footer area and custom favicon that can be changed without any coding necessary. Women bloggers, especially newbies, will enjoy dressing up their website with Adelle WordPress Theme. The Foursquare Church is giving away a beautiful WordPress theme to help churches to create their own website in no time. 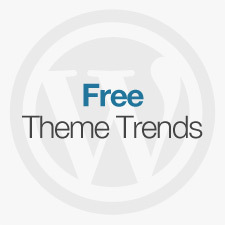 This theme is feature packed and includes everything you would find in a premium theme. It includes several page templates: About Us, Sermons, Blog, and Contact Pages in default or full-width format. It also comes with tons of shortcodes including a PayPal donate button. Another important feature is the Calendar template which is extremely useful in plotting out church events and announcements. Foursquare theme is a fully functioning responsive theme that can be customized to fit your church needs. All you need to do is to fill out a survey before you can download the theme. The survey is mainly for determining the theme’s usability and come out with a better and more responsive theme in the future. It’s exciting to discover fresh and new themes that don’t fall into the same design mold trend. Meet GavernWP WordPress Theme is one of those good finds. Based on the latest version of the GavernWP Framework and JSON format, Meet GavernWP incorporates a lot of modern CMS features like fluid or liquid layout, easy to use navigation panel, support for language translation, cross-browser support, widget styling and management, typography, and also branding options. With all these features packed into this fresh, new theme, you definitely need to check out and Meet GavernWP today. Pinterest fans will love Pinboard. This carefully crafted Pinterest-style theme is flexible, responsive and can fit any type of content. The huge homepage slider is beautiful. It’s got a dedicated portfolio section and the powerful jQuery Masonry feature allows it to automatically adapt and change according to the viewport of your browser. Truly awesome features for a free theme. Pinboard can be found and downloaded directly from the WordPress Theme Directory so you can immediately preview how it will appear on your site straight away. Take the guesswork out of monetizing your website with Patus, a free WordPress theme that includes an Advertising Manager feature to help you manage your ads and integrate them seamlessly into your theme’s layout. Ad boxes and banners can be added on the header, sidebar, or between posts for maximum exposure. This blog-style WordPress theme is a great solution especially for professional bloggers who are into affiliate marketing. You can also turn off the ad features and simply use it like any normal blog. Check out Patus and explore its business potential. Table WordPress theme is a professional-looking magazine-style theme that’s got a lot of power-packed features you’d normally find in a Premium theme. This premium theme takes advantage of the grid type of layout which works well for magazine or news websites that post content on regular intervals. This organized approach to delivering content gives visitors a chance to browse through featured content without having to click through so many pages. A text carousel between the header and the grid is the perfect spot to post headlines and breaking news items. The Blog page allows you to display thumbnails of featured posts. 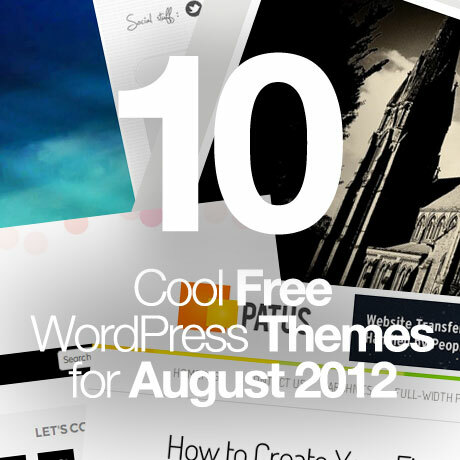 There are so many other features included in this theme that’s worth checking out. If you’ve been wanting to publish your own magazine or news publication, check out Table WordPress Theme today. Simple’n’Bright WordPress Theme is the latest WordPress theme released by webhosting company Site5 built using their new and improved Options Framework. This colorful and streamlined WordPress theme contains all the essential features (an easy to setup portfolio, custom page templates, google web fonts, built-in contact form, and video tutorials) that will help creative professionals, small business or individual practitioners to setup a professional and impressive looking website in no time. 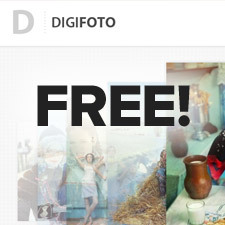 Photographers can enjoy posting their photographs and the anecdotes behind their images with Photo Theme. Photo Theme is a free minimalist style WordPress theme that puts the focus on your images while at the same time giving you the option to add other content and as well. The neutral colors of this theme create a non-distracting backdrop to highlight your best images. Purists and photo enthusiasts who don’t need a lot of theme bells, whistles and bling will appreciate the straightforward style of this theme. It’s simply all about your images and you.